Finally, the furisode is finished! 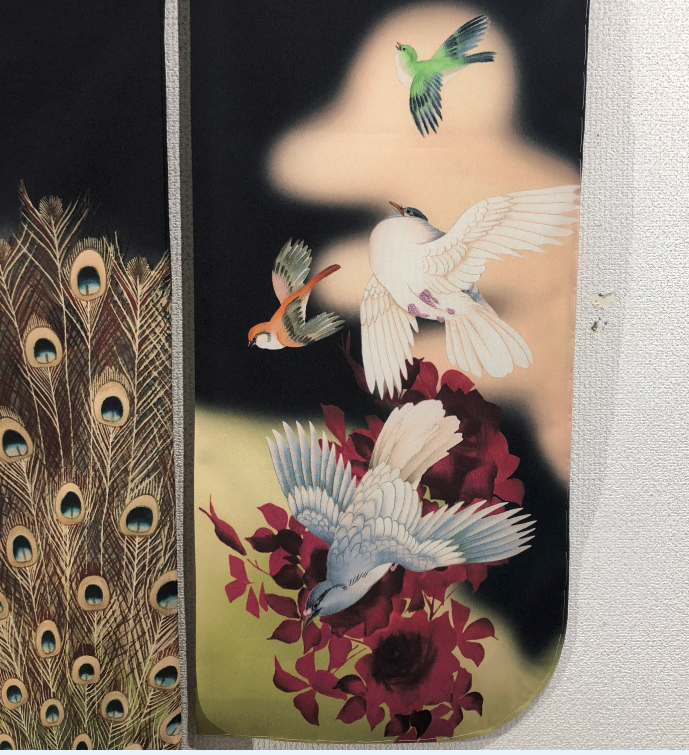 We have a most exceptional vintage furisode--this furisode has many enchanting birds and gorgeous flowers which are dyed. It is just awesome, words can never describe the real beauty of this furisode. The elaborate work of details-it is breathtaking. We hope you enjoy the photos of our treasure. It has no flaw, in excellent condition. 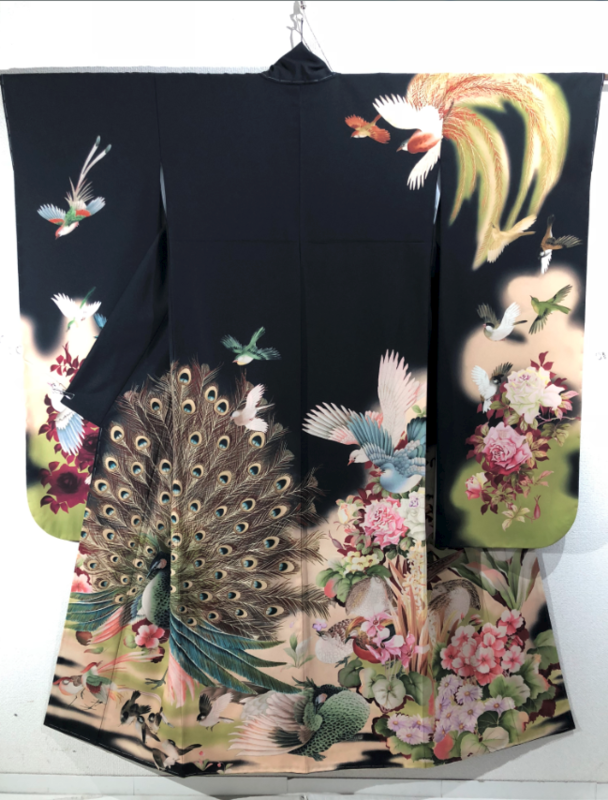 One of our customer ordered this furisode and we were so happy the furisode was just finished. 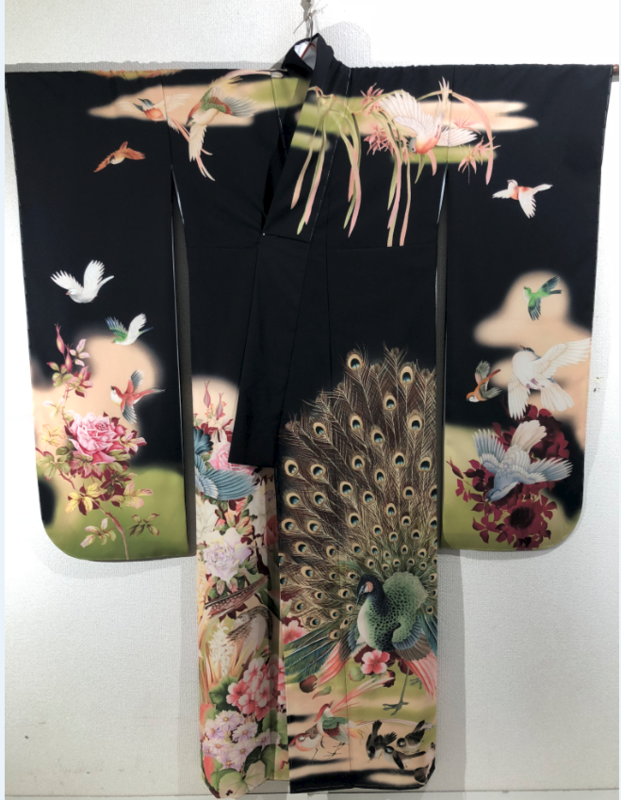 Yes, we made this furisode from a real vintage furisode-we reproduced the image and it is possible now to make same image furisode with other back ground color too. The original vintage furisode had red back ground color. 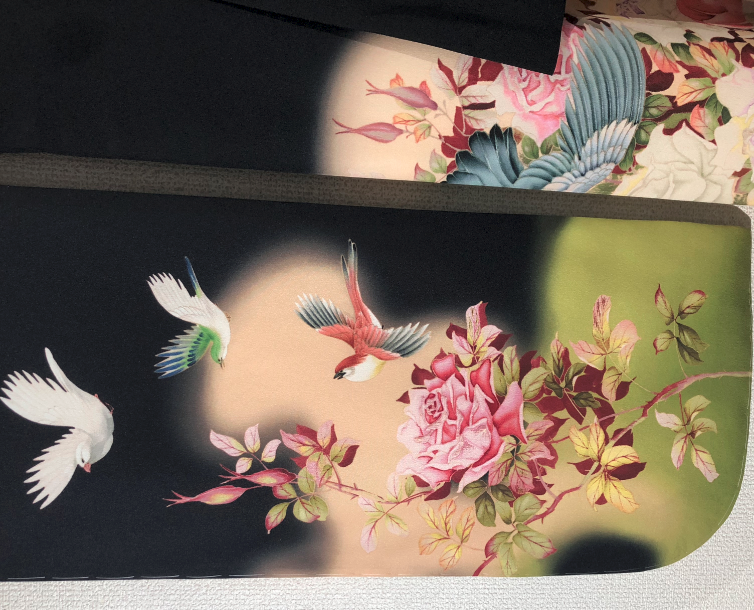 We have made the original color one too but to see the same design with black back ground color, it was first time and it was just breathtaking. 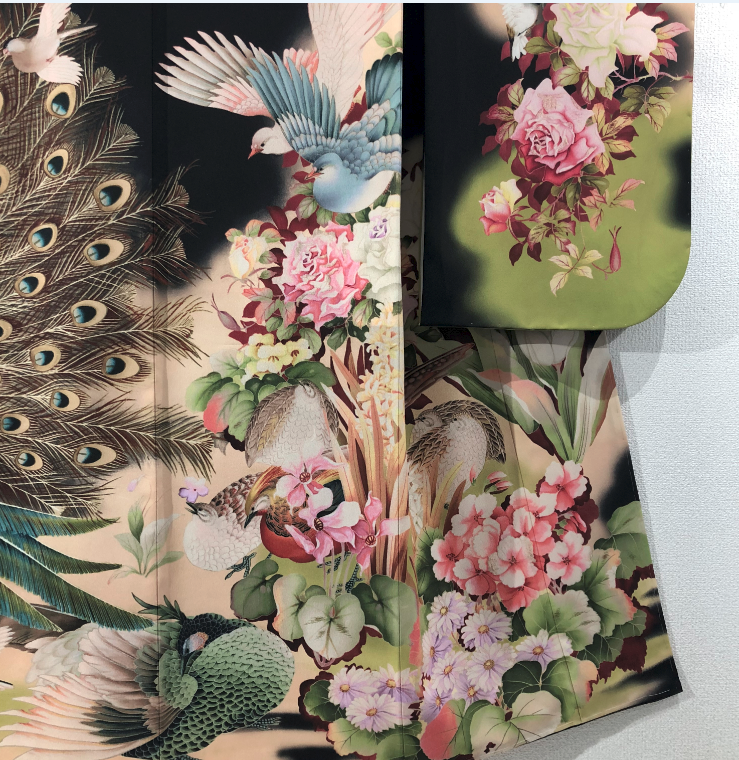 The original vintage furisode is of course the exceptional piece and we treasure it from now on too. 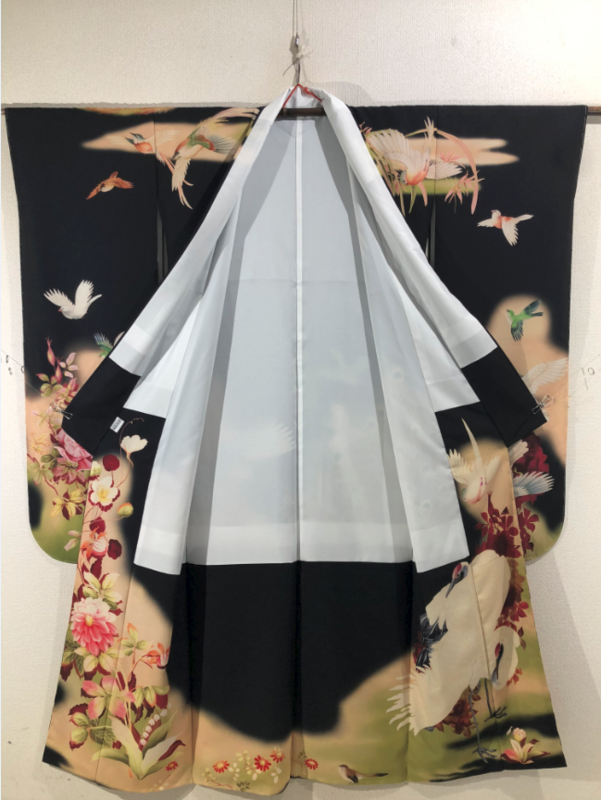 And now, if you wish to wear this furisode or display in your room, it is possible. 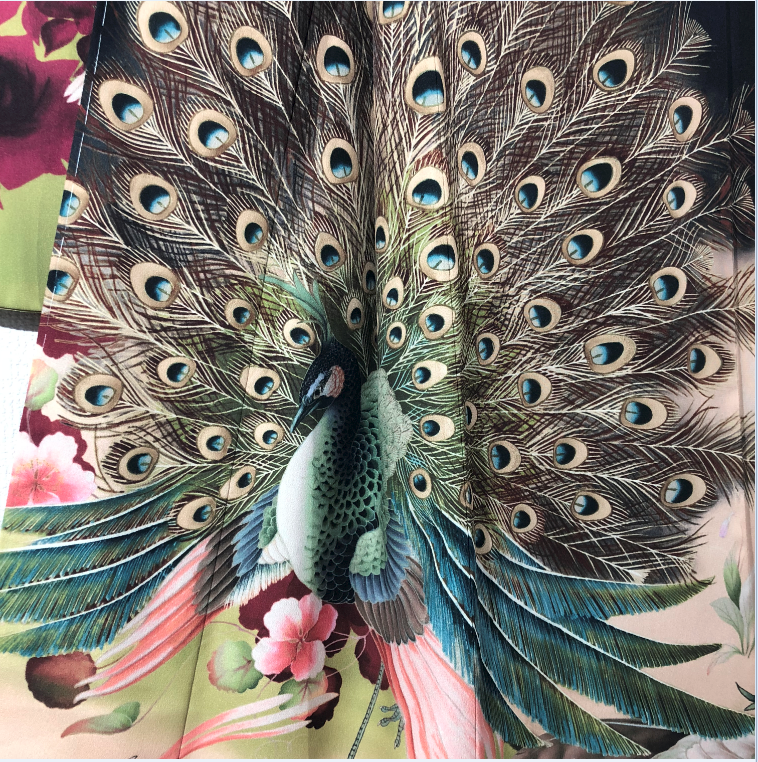 We will be happy to make another furisode for you.